Michael Walzer is a socialist and Professor Emeritus, School of Social Science, Princeton University. 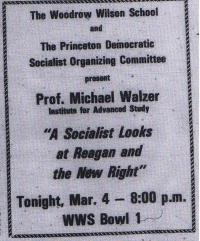 In 1990, Michael Walzer was a member of Democratic Socialists of America. Author Meets Critics Alan Wolfe, "Of Whose Keeper, Moral Obligation and Social Science"
In 1996 Michael Walzer, Dissent, Co-Editor was one of the original 130 founders of Campaign for America's Future. One of the "highlights" of the 2002 Socialist Scholars Conference (April 12-14, NYC) was a lively debate on “Just Wars” with DSAers Michael Walzer of Dissent and Ian Williams of The Nation taking on Steve Shalom of New Politics and Tariq Ali of New Left Review. 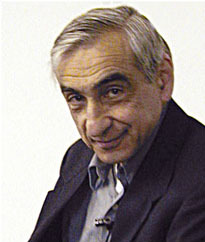 As of 2009, Michael Walzer was a member of the Board of Directors for Americans for Peace Now. 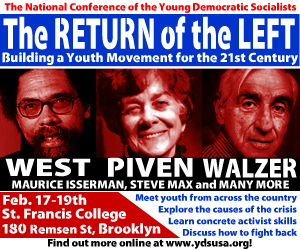 Michael Walzer was a guest speaker at the Young Democratic Socialists 2012 Winter conference. In 2018 Michael Walzer was an original signatory of the DSA North Star founding principles statement. This page was last modified on 4 February 2019, at 04:03.